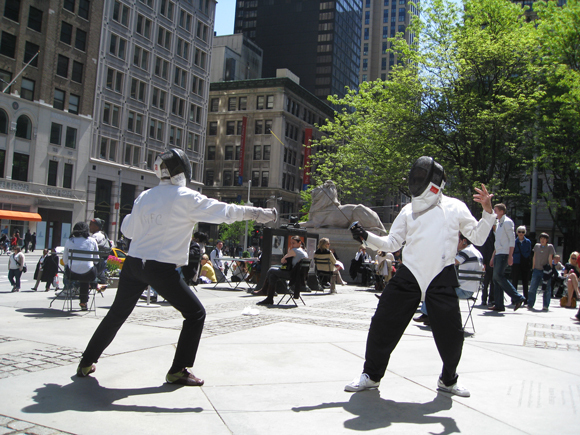 It was our most popular new program last year and next Wednesday, April 6, Bryant Park Fencing will return to the Fifth Avenue Terrace. Against the dramatic backdrop of the New York Public Library, experts from the Manhattan Fencing Center will conduct free lessons for students of all ages and abilities. No prior experience is necessary and all equipment is provided for you. Space is limited, so we recommend you call 212-382-2255 to register ahead of time.